Well, we were able to complete our first fund raiser, we raised $6020.00, two wells were constructed in Lungi,Sierra Leone and at a school in Matawa,Kenyaproviding clean water to over 2000 local residents. ...and then, the Second Fundraiser in 2013. The goal was raised to $7500, and again, our goal was met. Two additional wells were completed, and clean water was brought to thousands of people,Kenya 4215, and Kenya 4217. Now, here we are..... the 4th fundraiser. if 600 of us donate $10, we save lives and the next generation of an area in need. 1 in 7 people on this planet are drinking contaminated water. Almost 1 billion people do not have a basic in life, water. 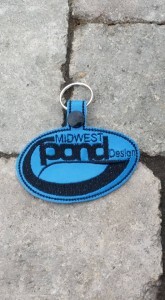 In all invoices from Midwest Pond Design, this link will be offered to take $10.00 off your total bill and use it to donate to this project. We will continue to make a difference. 03/12/17 Acoustic Alibi $140.25 Clean Water = Freedom! Children should go to school! Boys and girls alike! 03/12/17 Rebecca Atkinson $70.28 Wish we could have gone to Tighthead!! 03/05/17 Beth Ehemann $206.11 So proud of you for making a difference! 03/01/17 Dan Stankiewicz $100.00 Hey Al sorry I can't make it so please accept this donation for your good cause. 02/20/17 Andrew Zagorski $26.03 Bring the water, Al!!! 01/12/17 Meghan Lane $26.03 Proud to say I know ya buddy! 01/12/17 William Jarrett $25.00 Thanks for being one of the ones getting out there doing good, Allen! 05/17/16 Cindy Sullivan $25.00 Good luck! 05/17/16 Krystyna Fritz $140.25 What an inspiring story from right here in our Mundelein community to those in need across the globe. Thank you for doing this! 05/04/16 Kathleen Ryan $100.00 Good luck!